From a very young age, Ivan Anthony Henares has been a staunch advocate for the preservation of Philippine heritage. He is currently a PhD student in Hospitality and Tourism Management, and Environmental Policy at Purdue University, as a 2017-2018 Fulbright-CHED Scholar. He is Assistant Professor (on study leave) at the Asian Institute of Tourism of the University of the Philippines, Diliman and Vice President of the ICOMOS International Cultural Tourism Committee (ICTC). During the past years, he served as President of the Heritage Conservation Society from 2013 to 2016, Head of the NCCA National Committee on Monuments and Sites in 2017, and Trustee of the Nayong Pilipino Foundation from 2013 to 2017. In 2012, he was named one of The Outstanding Young Men (TOYM) in the field of Heritage Conservation. Ivan Henares receives The Outstanding Young Men (TOYM) for 2012 in the field of Heritage Conservation from H.E. 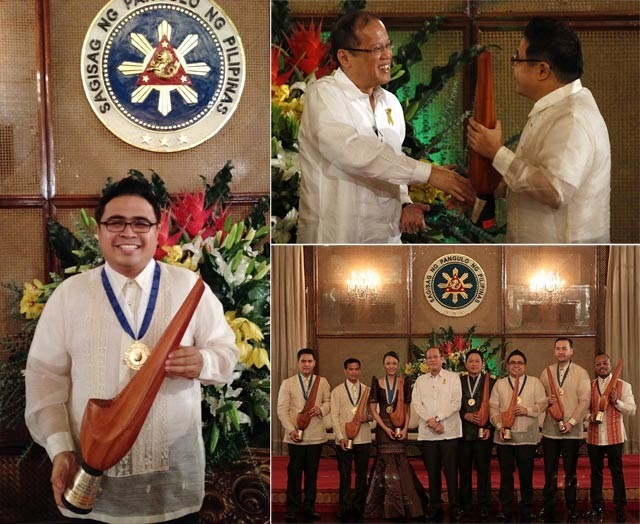 Benigno S. Aquino III, President of the Republic of the Philippines; and with fellow 2012 awardees Jiggy Manicad (Broadcast Journalism), Chieffy Caligdong (Sports), Rep. Emmeline Aglipay-Villar (Public Service), Dr. Warren Baticados (Veterinary Medicine), Abelardo David (Community Occupational Rehabilitation), and Allan Pineda Lindo / apl.de.ap of The Black Eyed Peas (Contemporary Music). 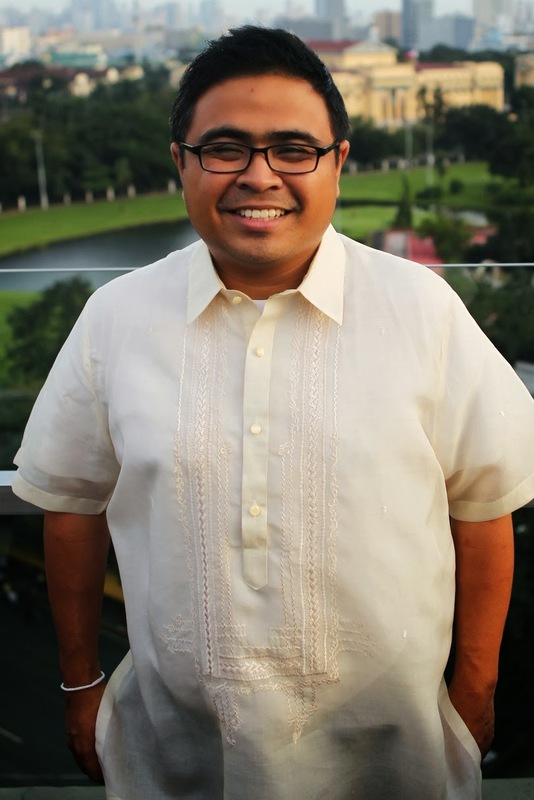 His advocacy and research interests are in heritage and tourism policy, and cultural tourism in historic towns and cities, industrial heritage, and indigenous communities in the Philippines. His work is currently focused on Pampanga cultural heritage, especially in the City of San Fernando, Pampanga, and the Sugar Cultural Landscape of Negros Island, where he is working with local stakeholders to protect early 20th century sugar centrals, hacienda houses and plantations, and 19th century sugar mills. At the Agusan Marsh Wildlife Santuary, he also worked with the Agusan Manobo community of Sito Panlabuhan to create a sustainable cultural tourism program, an alternative and sustainable source of livelihood for neglected but culturally-significant stakeholders in tourism. Ivan completed his elementary and secondary education at the Ateneo de Manila University, and his Bachelor of Arts in Economics, Master of Business Administration and Diploma in Urban and Regional Planning degrees all at the University of the Philippines, Diliman. As a college student, he initiated the “Preserving Heritage for Progress Program” in the City of San Fernando, Pampanga in 2001, a program that focused on the protection, conservation and promotion of the architectural heritage of the city. He painstakingly convinced local stakeholders to preserve their ancestral homes, many of which were eventually declared by the National Historical Commission of the Philippines as Heritage Houses. 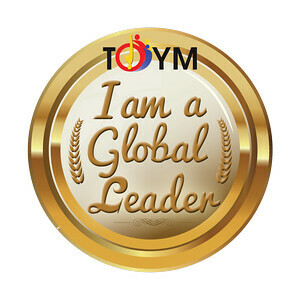 In 2004, the program was named Galing Pook Award Trailblazing Program and one of the Top 10 Best Practices of the League of Cities of the Philippines. In 2001, he was named Most Outstanding Kapampangan for Youth Leadership in recognition of his leadership in raising cultural awareness in Pampanga. In 2005, he received the United Nations Association of the Philippines Outstanding Youth Leader Award. In 2006, he received The Outstanding Fernandino Award for Preservation of Heritage and Promotion of the Arts. In 2007, his blog was named Best Travel Blog at the 1st Philippine Blog Awards. In 2008, he was named a Philippines 21 Fellow by Asia Society, which selects ten promising young leaders every year to join the Asia 21 Young Leaders Summit. In 2010, Spot.PH included him in their list of “10 City Heroes You Should Know” for his heritage conservation advocacy. In 2014, the UP Alumni Association named him one of the UPAA Distinguished Alumni for Culture and the Arts. He ably organized the 2012 ICOMOS International Conference on Cultural Tourism which brought together Expert Members of ICOMOS from around the world to Vigan, Ilocos Sur to share cultural tourism best practices to hundreds of local stakeholders. The feedback from foreign and local delegates was very encouraging, and had contributed to the good reputation of the Philippines as a global leader in community-based cultural tourism. For several years now, he has organized the annual Heritage Conservation Summit which has brought discussions about heritage conservation issues to towns and cities around the Philippines. He has championed the cause of Philippine heritage, giving it a young face, helping bring heritage conservation to the mainstream by serving as one of the advocacy’s most visible voices, pushing for the enactment of national laws and local legislation for heritage preservation, educating Filipinos on the importance of preserving our heritage, monitoring heritage conservation issues around the country and ensuring the protection of significant historical and cultural sites. He encourages heritage and cultural awareness among Philippine youth, established school and local chapters of the Heritage Conservation Society, and constantly delivers lectures all over the country on heritage conservation and tourism. Through the years, Ivan has helped move forward this advocacy through innovative promotion via mainstream and social media. This is where Ivan has made his unique and indelible mark for his championed cause: his efforts have brought an oft-neglected cause to the consciousness of the youth by giving it a younger and more accessible face. In particular, his use of social media networks and his award-winning blog have given cultural heritage a voice that demands to be heard. He has certainly given heritage a voice, one that was previously muted by other equally important national priorities. He has and continues to strive for what the Heritage Conservation Society envisions, a Filipino society that values and preserves its cultural heritage in order to instill pride of place and strengthen Philippine national identity. Ivan has always believed that a strong national identity and pride are often disregarded tools for nation-building.